Key Difference: VoLTE networks support both voice and data at the same time, without hampering the other. Whereas, the traditional LTE networks may or may not support data and voice together, or may affect the quality of the voice call. The terms LTE and VoLTE are often thrown around so much, especially for marketing, that their meaning is often confused and muddled. So much so that consumers often don’t know what the terms mean or what they entail. The terms LTE and VoLTE are often used together for marketing, but in reality the two are completely different things, though one is depended on the other. LTE is basically a 4G network, or rather a prelude to a 4G network. First came 2G, then came 3G, however, technology still has not advanced to the stage where 4G, as described by 3GPP (3rd Generation Partnership Project), exists. However, technology and speeds have improved over 3G; hence, LTE, a network between 3G and true 4G. LTE stands for Long-Term Evolution. 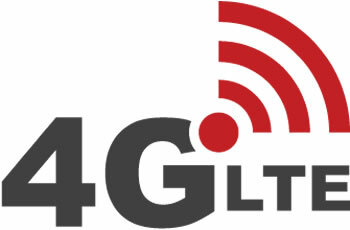 In fact, it is often marketed as LTE 4G or 4G LTE. So, LTE is a type of network similar to 2G and 3G. It offers faster speeds than the previous two, thus making it easier and faster to transfer data over the network. This is also what enables VoLTE. 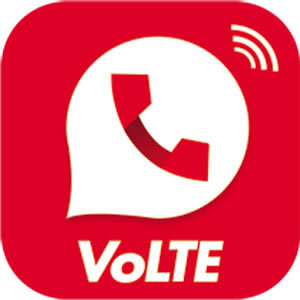 VoLTE stands for Voice over LTE (Long-Term Evolution). It is a type of service that is available over the LTE network. It allows one to make calls, even video calls directly over the LTE network. As LTE is capable of higher speed downloads and uploads, it results in almost seamless calls. While it is possible to make calls over 2G or 3G networks, these speeds were often slower hence resulting in lagging or call drops. The faster speed of LTE stops this from happening and improves the quality of the call. Theoretically, LTE supports download speed of 100 MBits per second and upload speed of 50 MBits per second. However, in practice this speed varies significantly depending on the region and the company. Due of this transfer speed, VoLTE allows one to simultaneously send voice and data over the network without it affecting the quality of voice. Basically, one can use data, i.e. the internet with also making a phone call. In the previous networks, i.e. 2G and 3G, this was not possible. One could either make a phone call or use data, rarely both at the same time. Even it would be possible to do both at the same, the quality of the phone call would suffer. Currently a lot of networks are marketing themselves as VoLTE, basically they are just trying to promote the fact that VoLTE networks support both voice and data at the same time, without hampering the other. Whereas, the traditional LTE networks may or may not support data and voice together, or may affect the quality of the voice call. The next type of cellular network. Faster than 4G. In telecommunication, Long-Term Evolution (LTE) is a standard for high-speed wireless communication for mobile phones and data terminals, based on the GSM/EDGE and UMTS/HSPA technologies. Voice over Long-Term Evolution (Volte) is a standard for high-speed wireless communication for mobile phones and data terminals. May or may not support data usage and voice call together. Supports data usage and voice call together. Using data and voice at the same time, may or may not affect the quality of the voice call. Using data and voice at the same time does not affect the quality of the voice call.